This film intends to document the resettlement of the Algerian Muslim population in camps and villages during the Algerian war of independence (1954-1962). Drawing on personal memories of Algerians resettled during the war and French soldiers who served in the region, it aims to reconstruct the history of resettlement in one village in particular, the village of Mansourah, the village of my father, in the South of Kabylia, Algeria. My documentary film tells the story of the mass resettlement of 3.5 million Algerian Muslims civilians during the Algerian war of independence - a forgotten chapter of French colonial history. 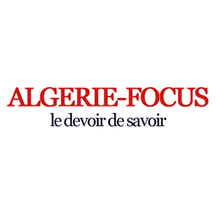 The objective of resettlement (regroupement in French) was to prevent the population from providing material support to the National Liberation Army (ALN) and to isolate the Algerian people from the rebels' influence. It will focus on one case in particular: Mansourah, the village of my father, that he left after independence and had not returned to for over 50 years until he accompanied me last summer to help collect testimonies from people resettled during the war. For years he had attempted to return, but his personal memories of dislocation and war were too vivid. This film is called El-Rihla, an Arabic word that can be translated to ‘journey'. It conveys the idea of a journey in the physical sense of a father and a daughter, a journey from Washington D.C. (where I developed this project as part of my master's studies) to Paris, from Paris (where I continued my research) to Algiers, from Algiers to Mansourah (where I lived for several weeks to collect testimonies). The word El-Rihla also reflects the views of people resettled in Mansourah. Some used the word El-Rihla to refer to their displacement by the French army. Doing so is a way to mitigate the violence experienced and remembered. 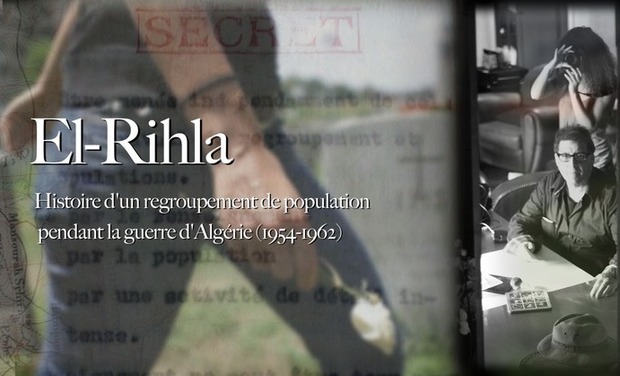 Finally, the word El-Rihla conveys the idea of a trip on a symbolic level, between past and present, between France and Algeria, among the memories of events. Thus far, I have conducted interviews with people resettled during the war, former National Liberation Army's soldiers and sympathizers. I pursued my research in France, first in the military archives at "le Service Historique de la Défense" in Paris and then, in the colonial archives, "Archives nationales d'outre-mer", in Aix-en-Provence. There, I found precious data to complement the interviews I made in Algeria. In addition, I interviewed former French conscripts who served in Algeria during the war and shared their own story and memories of the war. Along my research path, piecing together the scattered fragments of the historical puzzle to form a meaningful picture, I was inspired to create a documentary film that combines personal and social history by putting side by side and into dialogue memories of different actors involved in this process: the Algerian Muslim population and the French army. The audience will access the intimacy of Algerian and French silenced memories and discover how they remember this troubling event of the war. Some of the memories will be illustrated with archival images and some reconstructed through animated film, which can bring to life eyewitness narratives that are the backbone of a people’s history but that have been historically ignored by traditional historians and traditional historiography. The soundtrack of the film will be composed by the Palestinian oud and kanoun player, Huda Asfour. She imbues her music with a sense of melancholy inspired by her own experience of dislocation and dispossession. The music that Algerians and French listened at that time and intermingled in the space of the village will also illustrate the atmosphere and feel of the place. Dorothée Kellou is a graduate of the Arab studies program at Georgetown University, where she worked as a research assistant of Dr. John Esposito at the Center for Muslim-Christian Understanding. 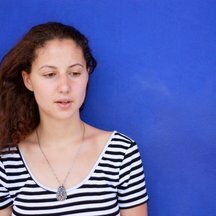 She spent several years in the Middle East, studied Arabic in Cairo for one year thanks to a grant from the French Ministry of Higher Education, and worked for two years as a press attachée at the Consulate General of France in Jerusalem - France's diplomatic representation to the Palestinian Authority. She also contributed to "Actualités du cinéma" a daily broadcast on Radio France International, analyzing newly released films. She has published several articles and photo essays, including in Jadaliyya and Le Ligueur des parents, a weekly belgium magazine. She received numerous scholarships and awards, including the Fulbright Scholarship and Willard J. Oxtoby essay prize for outstanding essays by a Georgetown graduate student on the question of Palestine. Graduate of the Institut des Arts de Diffusion in Brussels. Director at France Television, he has directed several documentary films, including Robert Schuman, musician of Europe, produced by France 3. He also directed political and cultural TV broadcasts, including Continental broadcast live on France 3 and France 5. He also directed numerous educational series for young people, like Franck et FO-Yang produced by France 3 Ile de France. He regularly teaches at the School of Architecture and the l'Institut Européen de la Communication et de l'Audiovisuel (filmic analysis, supervision of documentary film projects). At this stage, I have identified all my sources and I have filmed some interviews. However, the quality of video and audio equipment used is insufficient for a movie I'd like to screen in movie theaters. I could only use these rushes to create a trailer for Kiss Kiss bank bank! Last month, we rented a Canon EOS 5D Mark II to shoot several scenes in Washington DC. Yet renting this equipment is not cost effective for a film shot between France and Algeria. So I decided to purchase the necessary equipment. Time is running out! I fear every day that some witnesses of advanced age will pass away! Once the equipment is bought, it will travel through France with my team to record the testimonies of former French soldiers and then go to Algeria and Canada (where many witnesses of the resettlement live) to record more testimonies. Ideally, we will need at least 20,000 Euros for the project. There is so much to do to make this film great, including more research (photos, archival documents...) Our current fundraising objective is 15,000 Euros, but we very much hope, with your help, to exceed this target. A thank you card ! A DVD of the movie ! A CD of the soundtrack + A DVD of the movie + full size movie poster autographed by the cast and crew ! All previous rewards + Invitation to the premiere (in Mansourah, Paris or Washington DC) ! All previous rewards + Invitation to a dinner party with Algerian musicians and the film crew ! All previous rewards + your name in the credits ! All previous rewards + hand-woven traditional Algerian dress ! All previous rewards + visit of the region of Mansourah !